There's no better value in binoculars than a pair of quality porro prisms and with the Vortex Raptor 8.5x32 binocular, Vortex have taken porro prism performance to a whole new level with a mid-size, wide-angle design featuring waterproof, fogproof construction and fully multi-coated optics. 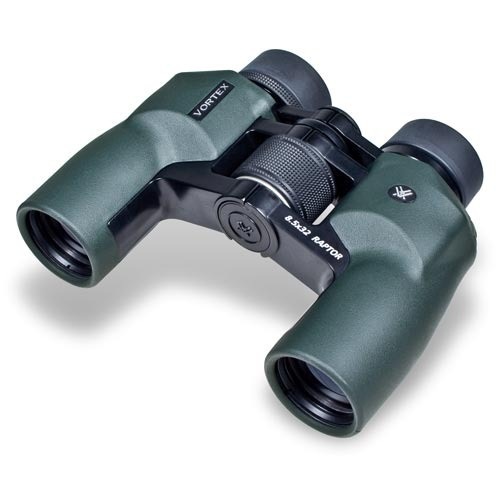 The Vortex Raptor 8.5x32 binocular delivers a bright, crisp image with excellent colour fidelity, even in low light conditions. With a wide range of interpupillary distance, this binocular can be easily adjusted to fit anyone in the family, from young children to adults. Fully multi-coated lenses: Increase light transmission with multiple anti-reflecive coatings on all air-to-glass surfaces.